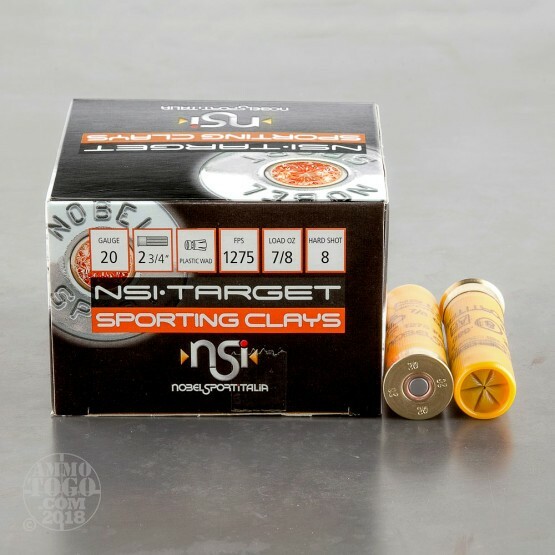 This is 20 Gauge NobelSport Trap Gold 2 3/4" 7/8oz. #8 Shot. 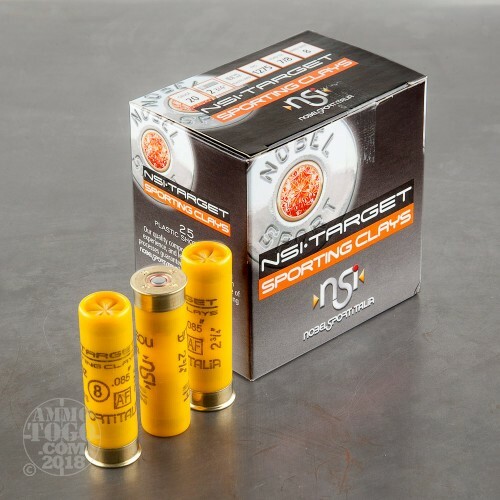 This ammo is Developed with the high performance standards of American trap in mind. 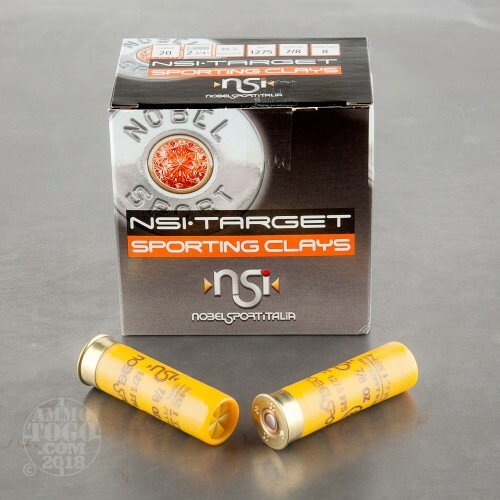 Trap Gold shotshells are assembled from the highest quality plastic cases, high antimony hard shot, carefully-matched propellant, even-patterning plastic wads, and NOBELSPORT’s famous 209-sized target primers. Experience obtained from NOBELSPORTITALIA’s successful history in international competition guarantees success for the American Trap competitor. 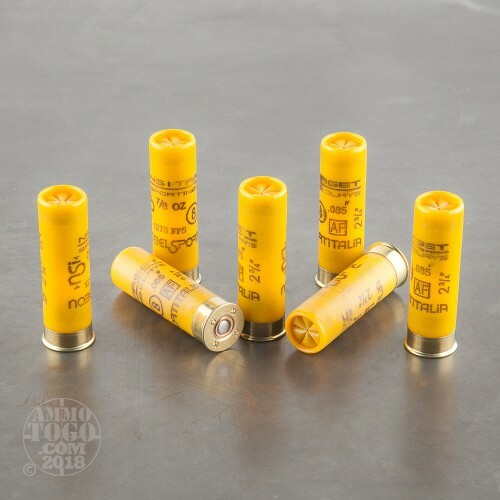 This ammo is packed in 25rds. per box.